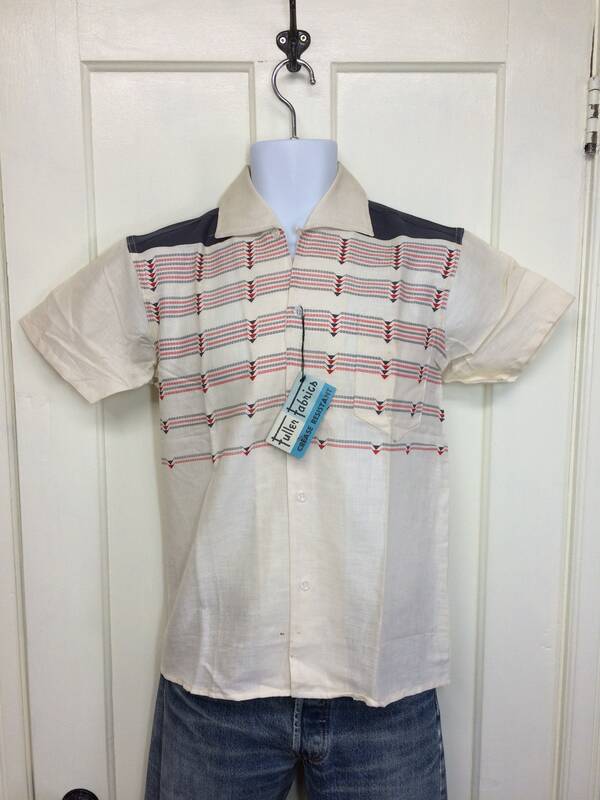 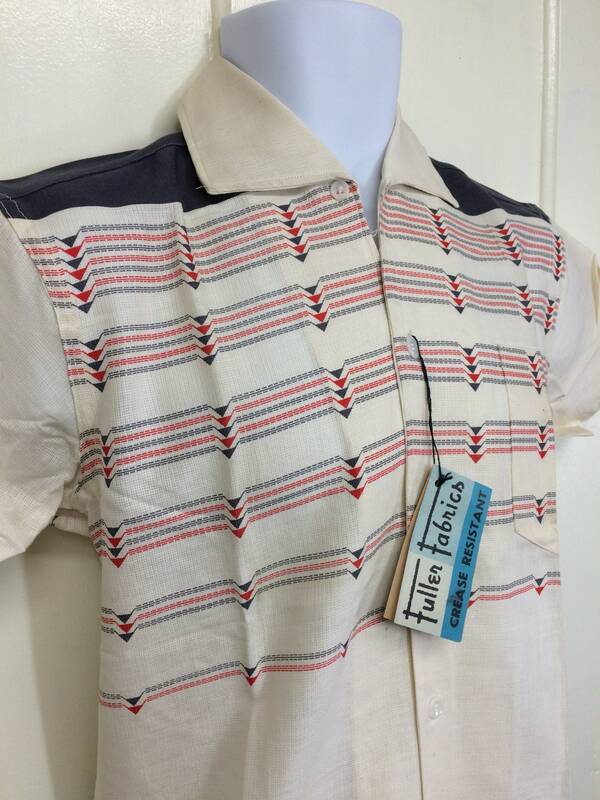 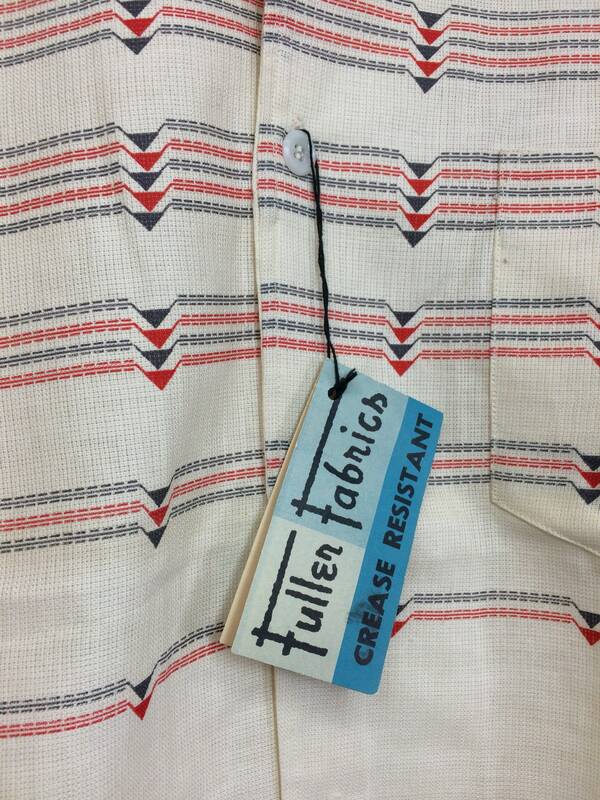 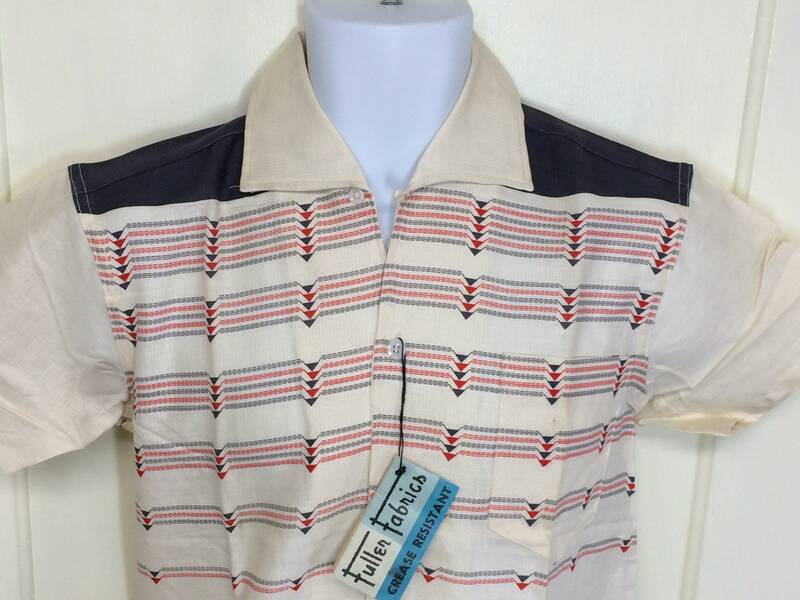 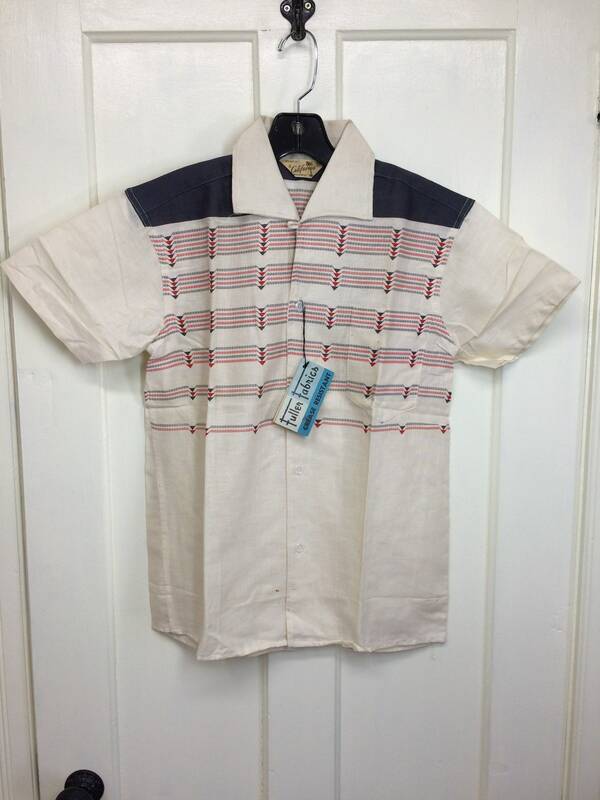 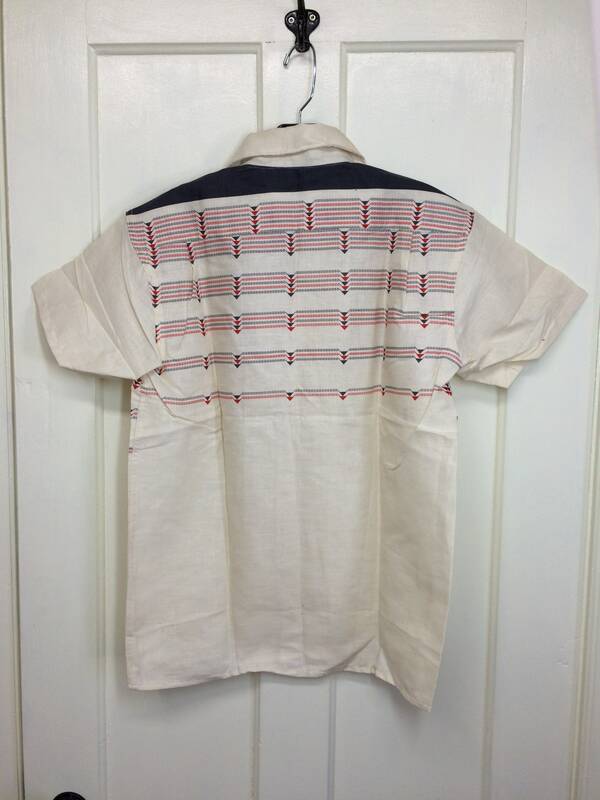 Here's a deadstock loop collar shirt from the 1950's with the original paper tag. 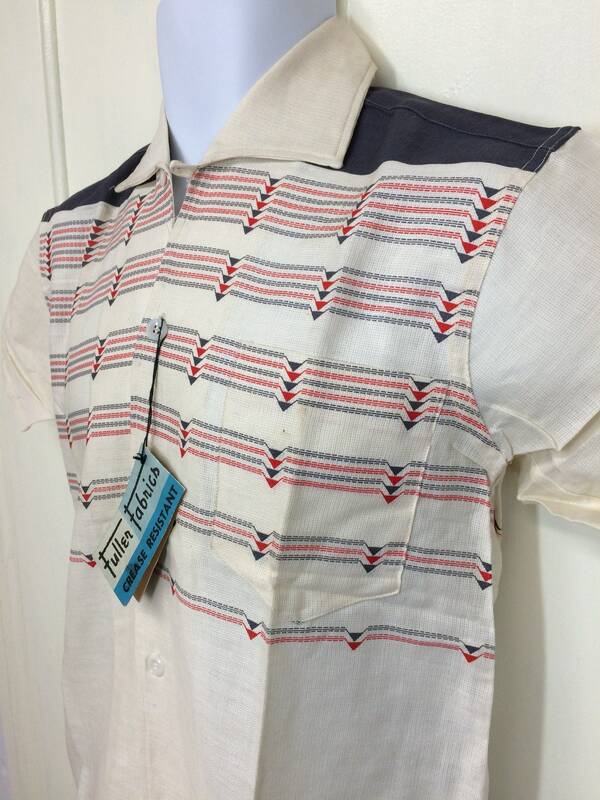 It has short sleeves, matched pocket and a straight bottom. 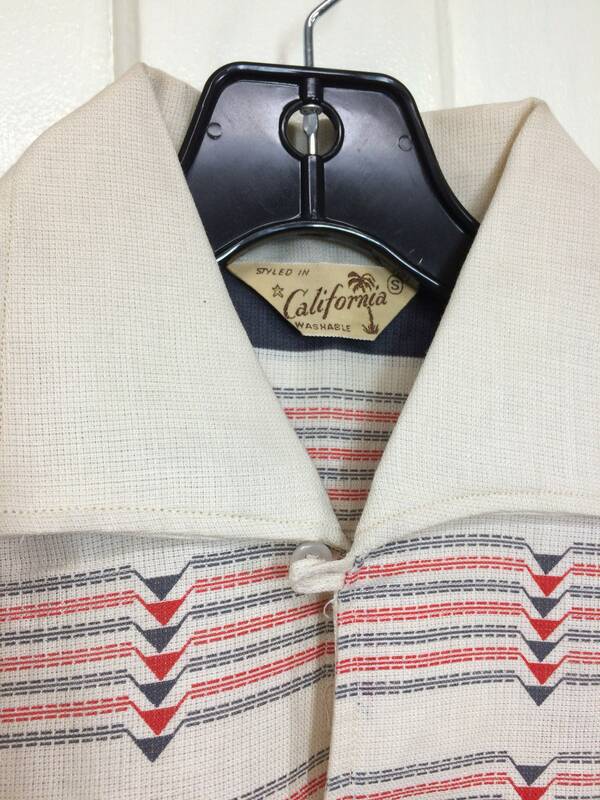 It feels like cotton rayon blend. 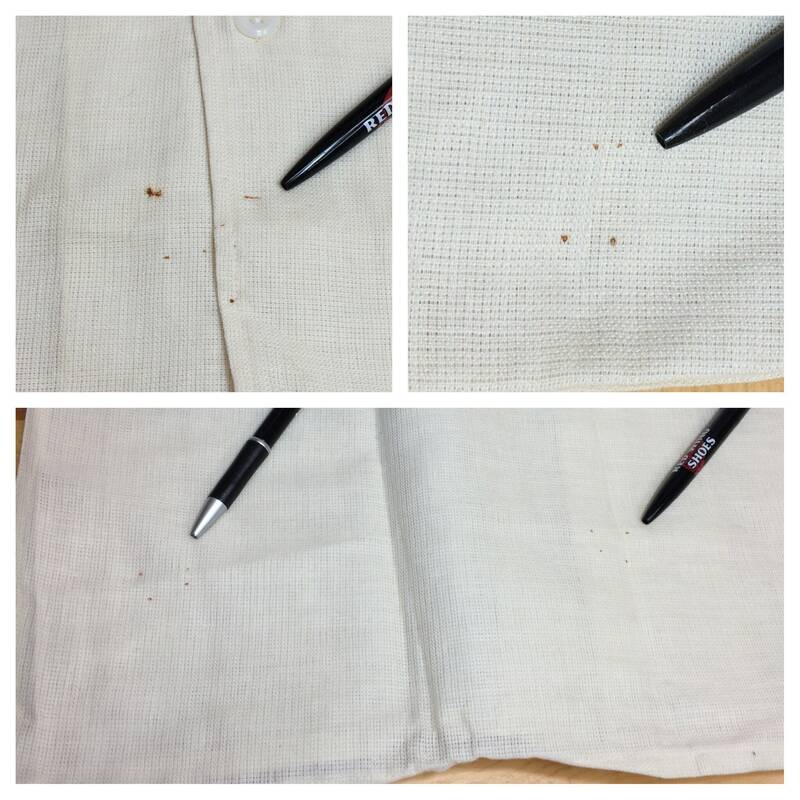 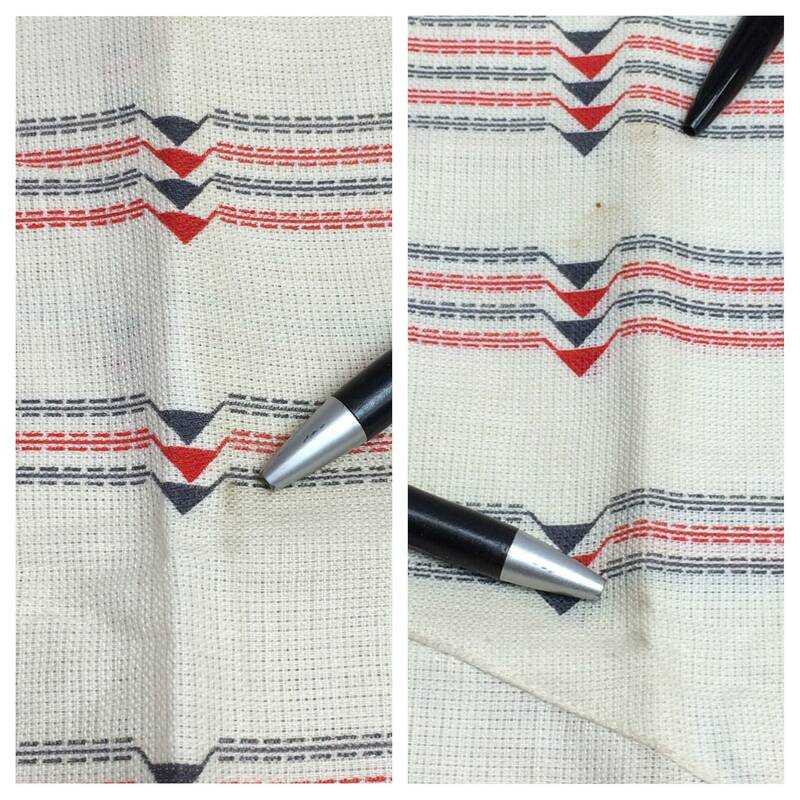 There's slight storage discoloration at the folds and some rust marks at the bottom of the shirt where the pins were.